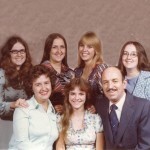 When my daughter, Corrie was a little girl, it never occurred to me that she would end up living in a house full of men. Nevertheless, that is exactly what happened. I know there are a lot of families who have all girls or all boys in their family, and the odd man out is the parent who is the opposite, but coming from a family of 5 sisters, and then having 2 daughters, I never expected that one of my girls would have only sons. I think for Corrie though, it was the best way for her family to be. It’s funny how God seems to know just what we need and what we don’t. I don’t think Corrie would have done well with a prissy little girl, and yet her rough and tumble boys and all of the guy stuff they like to do seems to fit her perfectly. She loves going camping and fishing, and watching her guys shoot each other with paint balls…provided they don’t hit her that is. I can’t say as I blame her there, because those things hurt. I think my girls and I each have our own recreational style, and each fits us in the best way. I love to hike, but Bob and I don’t camp out. 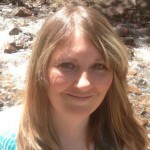 Amy is more the hanging out around the deck and barbequing with family and friends, while Corrie and her family absolutely love camping and fishing. For Corrie’s family, waking up to the sounds of the lake and the birds is a big part of the appeal. And even if the guys have to go into town for work for part of the weekend, Corrie is quite content to stay at the lake with the dogs and just enjoy the day. Now, on that thought, I can certainly agree. 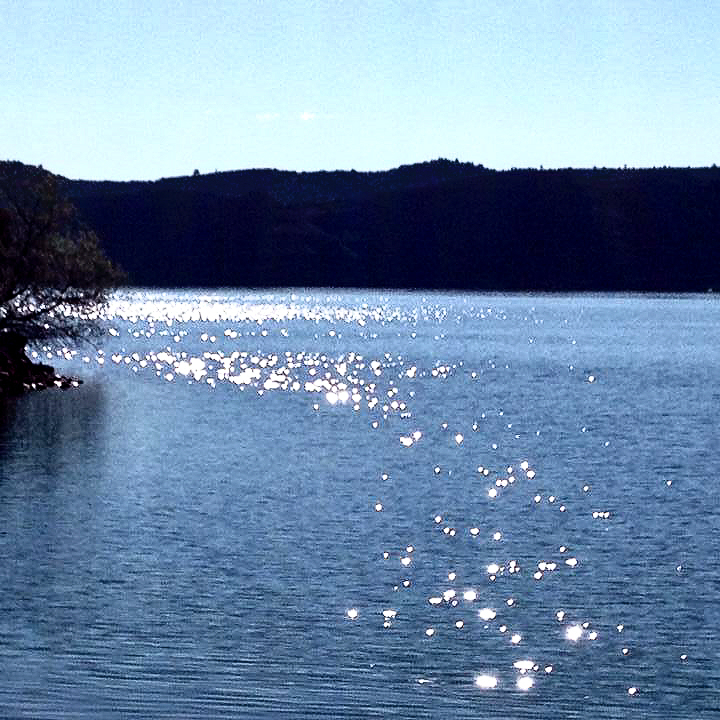 When you can have a little bit of quiet time by yourself at the lake…that would be very peaceful. Most of Corrie’s life is quite busy. She has a full time job, having just received her 20 year ring from Tallgrass Energy. She donates plasma at BioLife. She runs a virtual assistant home business, and she is a serious coupon queen. If most people could save the kind of money on their groceries that she does, they would probably pass out. Sometimes the store ends up paying Corrie to shop, because she saves so much money. Of course, if I were you, I would do my best not to get behind her in line. It is a slow process. Amy and I tease her about being a fanatic, but we are both quite impressed with how much she saves. No wonder she likes to get away and go camping…seriously, who wouldn’t! It is the only time she slows down much. Today is Corrie’s birthday. Happy birthday Corrie!! Have a great day!! We love you!! As very young girls, my sisters and I were well aware of our Spencer roots. We are among the descendants of Michael Spencer, who is one of the four Spencer brothers who, along with their sister, came to America together, leaving behind all they knew in England. Michael was our 8th great grandfather. The information about our English heritage was passed down from generation to generation. We knew that we were related to Winston Spencer Churchill. We knew that we were related to Princess Diana, who is our 18th cousin, and her children, William and Harry, and now William’s son George. We always knew about all of the things that tied our family to the Spencer line in England. Mom and Dad were always very proud of our Spencer background…of anything Spencer, really. 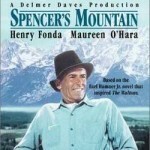 I remember as a little girl, being allowed to stay up late, even on a school night, to watch the movie “Spencer’s Mountain” whenever it came on. It always felt like it was a story written about our family, even though the number of children didn’t match, and there were no boys in our family. Our family values, and the closeness we all shared, just meshed so well with the family in the movie, that it really was like they were a part of our family. We watched the movie many times, and it was almost like they were our alter egos. “Spencer’s Mountain” was not the only late night viewing, that occurred in my life, that had to do with the Spencer family, however. 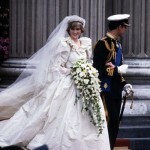 When Diana Spencer married Prince Charles, I stayed up late to watch the ceremony, and when Prince William married Kate Middleton, I stayed up late to watch the ceremony, which took place on my birthday…something I really liked. Could I have recorded these events for viewing at a more normal time of day? Yes, and I did record them, but that would never be the same as watching the event live. Maybe other people would think I was crazy, but to me, that’s what growing up Spencer was all about. These people are my family, and this was an important event in their lives. I wanted to watch…first hand. 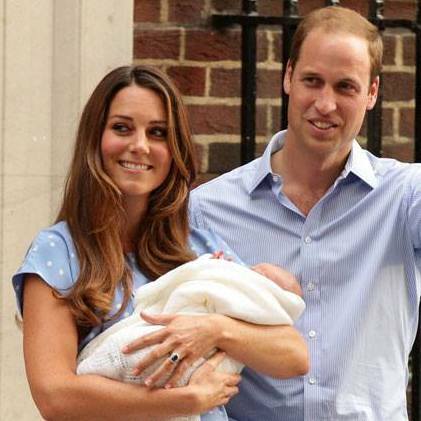 When it was announced that Princess Kate was in labor with George, I was glued to the television set. I couldn’t wait to hear the happy news. I know many people aren’t interested in the English Royals, and I wasn’t really either…until Princess Diana married into the family. That connected my family to the royal family…in modern times at least…the Spencer family has royal ties centuries back too, but I didn’t know of those and wasn’t around then anyway, so Princess Diana was the first royal I knew of. Every time the name Spencer showed up in a product, movie, or even the phone book, we felt an immediate connection. In reality, for the people in the phone books at least, there is a real likelihood that we are related. I have run into many people over the years that bear the name Spencer, and I only wish that there had been a way to find out for sure what our relationship is. I know it would be something that would be of interest to all of us, because everyone becomes intrigued by the possibility of being related to someone they didn’t know about before. There are a number of Spencers in Casper, and I’m sure we are related, but it would take time to trace the ties and find the connection that I have no doubt exists. It is another aspect of growing up Spencer, that will have to wait for another day. My grand nephew, Topher, is going into his last year in the single digit age group. It’s a time of many changes. Topher has always loved cartoons and super heroes. One of his favorites has been Spiderman. As he gets older, the super hero phase will begin to pass…unless he is like his Great Uncle Bob, who still likes super heroes…some people never grow up. 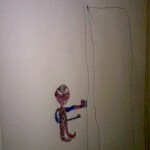 Topher likes to draw, and I think his work shows promise. If he keeps at it, he might be able to sell some of his art someday…but, he would not have received any of his talent from his Great Aunt Caryn, that’s for sure. 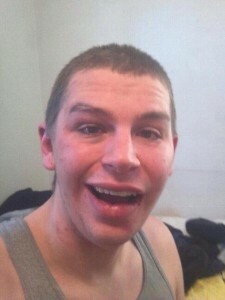 Topher is a goofy guy, who loves to smile. 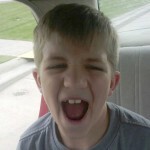 He is always making funny faces, because he likes to make people laugh. I love seeing all the pictures his mom posts of his smiling face. Topher is very good with younger kids, too. He makes them laugh, and plays well with them, even if they are a bit younger than he is. Lots of kids don’t like kids that are younger than they are. Topher is a good leader and role model for younger kids too, because he is respectful and kind. I think people like to have their kids around someone like that. Topher is also helpful when it comes to keeping an eye on those younger kids. Topher has been such a blessing to his parents and grandparents. His goofy ways bring sunshine to their days, and smiles to their faces. I can’t imagine what life would have been like if Topher had not come into our lives. It is so hard to think about how fast he is growing up. 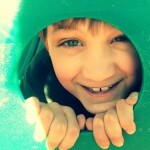 Next year he will be into the double digits ages, and before very long, he will be driving, dating, grown up, and married. Where does the time go? We don’t get to see Topher very much, because he lives in Rawlins, so every time I do see him, I am stunned by how much he has grown. 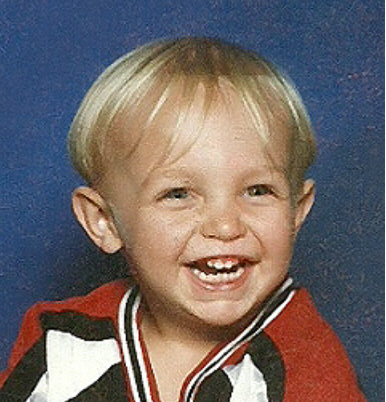 He has long since ceased being the baby I remember so well, and has turned into a big boy. He loves video games and listening to his favorite tunes. I imagine that he will be getting into sports and other school activities before long, if he hasn’t already. Some kids start that stuff young, and others jump into it as they get older. Topher will be going into the 4th grade next year, so he is almost to the point of being one of the big kids on campus but, I doubt if Topher would take advantage of that. He is too busy making friends, and in general, being well liked. Today is Topher’s 9th birthday. You are growing into such an amazing young man. Happy birthday Topher!! Have a wonderful day!! We love you!! Since I wrote the story about bossy big sisters a while back, I have wondered about Bob’s great uncle, James Ernest Schulenberg. Jim was the youngest of Bob’s great grandfather, Max Heinrich Johann Carl Schulenberg’s ten children, and Bob’s grandfather, Andrew Carl Schulenberg was the oldest. Andy was born March 12, 1906, and Jim was born June 10, 1928. That put Bob’s dad, Walter Andrew Schulenberg’s sister Marion Claudine Schulenberg, born November 29, 1927, a little over 6 months older that her Uncle Jim. Nevertheless, the three were good friends, and played together often. After Andrew’s divorce from Vina Nona Leary Schulenberg, Walt and Marion’s mother, my guess is that the children didn’t see each other as much, with the possible exception of at school. Nevertheless, as we age, friends come I and out of our lives, and we maybe aren’t as close to our cousins, or in this case, an uncle, as used to be. By the time Jim was grown, the Korean War was in full swing, and Jim took part in that war. I don’t know if he was drafted or if he enlisted, but I know he served, because of a story in the Billings Gazette saying that upon his return from the Korean War, he and his wife, whose name I don’t know yet, made their home in West Forsyth, Montana. That would put him right back in the town he and so many of the other, more recent, Schulenberg family members were born. At some point around 1993, Jim moved to Billings, Montana, where he would spend the rest of his life. Jim passed away on June 24, 2006. When I first saw this picture, I had the opportunity to ask my father-in-law, who he was, but for some unknown reason, I did not ask him for very much information about his Uncle Jim. Now that he is gone, there is no longer an opportunity to ask him, and I really wish that was not the case. So often, we do not realize how much that past family history will mean to us, until we no longer have the opportunity to find out about it first hand. It is a live and learn situation, but I wish I had learned about it first, and not had to live with the regret that I didn’t ask. 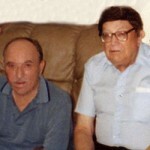 When I look at the pictures of my dad and his brother, my Uncle Bill, I can see how much they loved each other. They may have tried to look tough, but there was a lot of brotherly love between them. They were best friends, playmates, but most of all brothers. The way Uncle Bill took care of his little brother, and the way my dad looked up to his big brother…you could see it in their eyes. 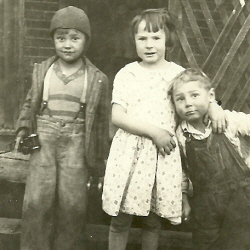 They were the two middle children with their older sister Laura, being ten years older than Uncle Bill, and their sister, Ruth being 2 years younger than my dad. 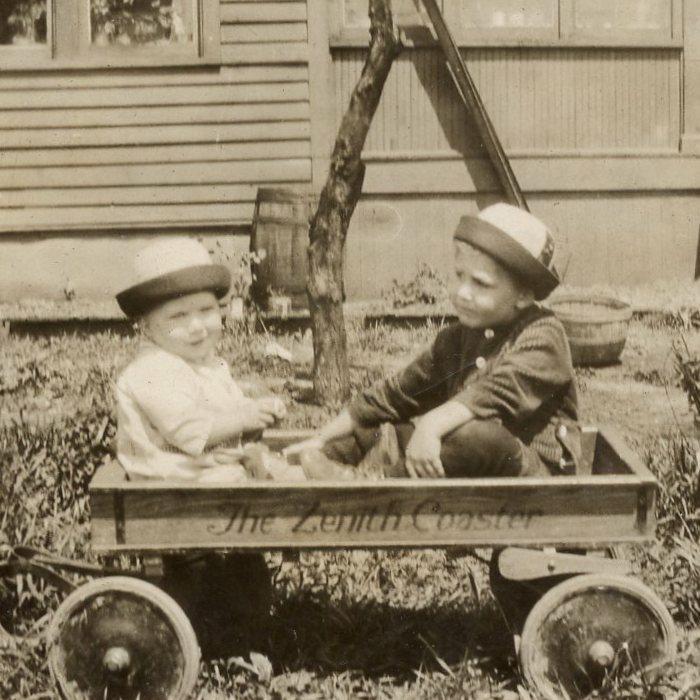 Because they were together and just the two of them, except for their sister, Laura’s care, and because Ruth was too little to play for a couple of years, the boys were very close….like a lot of brothers are. 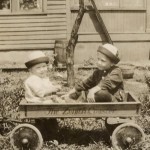 Through their young years, the boys worked together on the farm, and in several other work ideas they came up with. They shared a love for guns, dynamite, and cars…you know, the usual guy stuff. I know that when their little sister, Ruth came on the scene they were good friends with her too, and she was most likely a tomboy because of them…a matter of self defense, if you know what I mean. Because Aunt Laura was so much older than the rest of the children, I think they must have looked to her as more of a babysitter than a playmate…although she was great when it came to being pulled around on a sled or in the wagon. 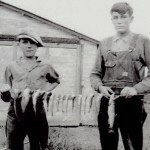 As they grew up, they took several trips together to go work the harvest in North Dakota, among other things. I’m sure they had a great time just hanging out together, and finding work and places to stay was fun and challenging. They had an especially challenging time on one trip, when the only place to stay was at the local jail. I’m sure that was a bit odd for both of them. They had to be treated the same as any other prisoner. They took all their belongings, and searched them, and had to know all about their background, but they let them stay on the bunks covered with strips of steel and cardboard…not particularly comfortable, but the place was warm and dry, so they were grateful. On their last visit together, my dad was not in good health. We weren’t sure the brothers would ever get to be together again, but my cousin Bill Spencer and his family made the trip so that we could make it happen. It was such a sweet reunion for them. They talked a lot, played cards, and in general, just spent time together. We were all so grateful to Bill for bring his dad, my Uncle Bill out so they could have one last visit. My dad passed away in 2007, and thankfully Uncle Bill has dementia, so that is something he doesn’t have to know. The miles between them make it possible to keep him in the dark a bit, because I know it would be very sad for him to know that, and sad for us to tell him. My second grandson, Caalab always had a smile that lit up his whole face. He had…and still has…a great sense of humor. Teasing people is definitely his strong suit. His sister, Shai didn’t always like his teasing, but then she didn’t always like him either. These days they are such good friends that it warms my heart. That usually happens as kids grow up, but when he was little, Shai really wanted to send him back…or as her t-shirts said…sell him. I think these days she is glad they kept him. I love watching how they interact now. He will just go buy her a Starbuck’s coffee some mornings, because he knows she likes that and needs to wake up. And she will do the same for him. They are getting so grown up that it brings tears to my eyes. I still remember Caalab as the little boy who couldn’t keep his hands out of my hair. It all started when he was just 6 months old. I have never seen a 6 month old baby who was so gentle with hair, but Caalab was. He never pulled my hair, just gently ran it through his fingers. His play changed over the years, and some of it was pretty comical. 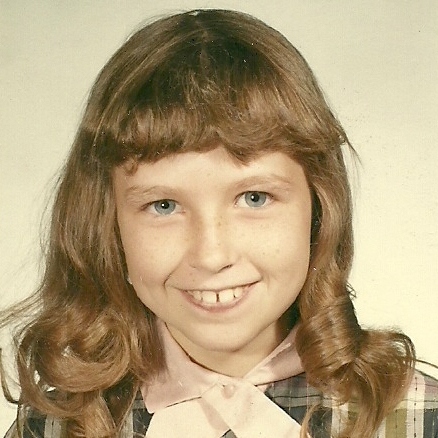 One that everyone remembers is the times he slapped my hair…pulling it gently out until his fingers reached the end, then slapping it out of his hand. Lots of people asked me if that bothered me, but after 16 years of having Caalab’s hands in my hair, it was just normal…and he never hurt me. He was great like that. Now that he is older, and has a job that keeps him really busy, I miss that little boy who always played with my hair. He still does it when he is around, but he is just so busy now. The next year will prove to be a busy one for Caalab. While he only needs one class to graduate, he plans to take several college classes too, so that when he starts college, he will have a head start. I don’t think he has decided what career he wants to pursue yet, so the college classes he takes as a senior will be basics, but that’s ok too. Get those out of the way in high school, and he can go into more specialized classes in his freshman year. Today that sweet smiling little boy is about 6 feet tall and all muscle. 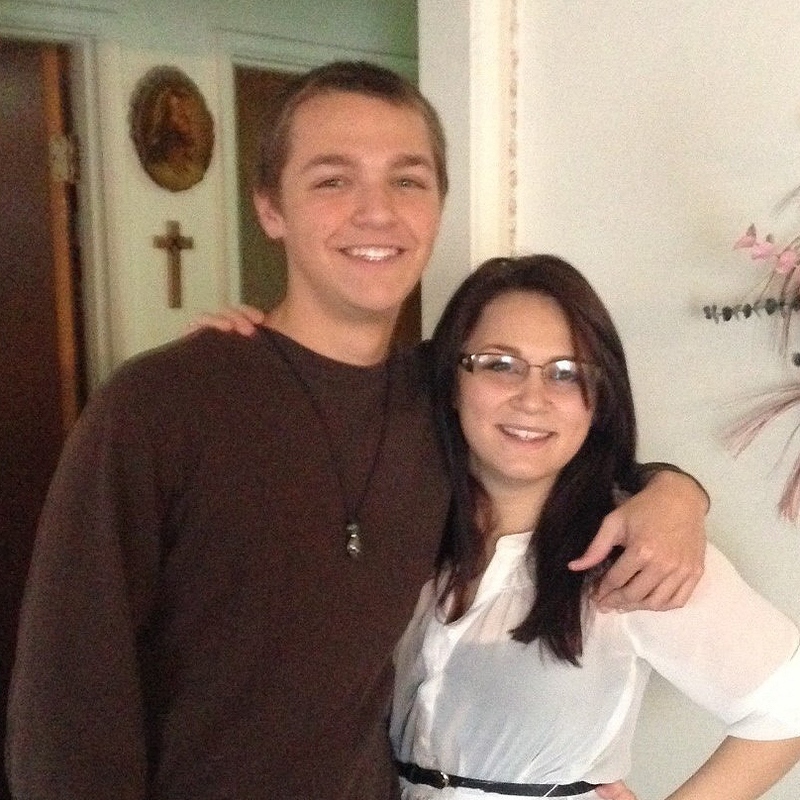 I can’t believe how tall he has grown. He towers over me now, and bears little resemblance to the little boy he used to be…except on the inside. Caalab has a heart of gold, and while he loves to joke around and tease, he is a kind boy. He is always doing sweet little thinks like bringing me flowers for my birthday. He never ceases to amaze me. I have been so blessed to be his grandma. Today is Caalab’s 17th birthday. Happy birthday Caalab!! Have a wonderful day!! We love you!! Have you ever noticed that during the teen years, none of those kids want to smile…in fact, their pictures look like they are mad at the world. The only real exceptions to that rule is selfies and pictures with friends, that their parents don’t always have access to. Looking back on some of the pictures of me as a teenager, I think, “What was wrong with me? I really must have had a very bad attitude! !” I know several other people who would admit to having a bad attitude as a teenager, and I would have to say that I was one of them, although maybe I wasn’t as bad as some people. Nevertheless, I know that there were a lot of people who had a much better attitude than I did, and looking back now, I wish I had been more like those people. A bad attitude really is a big waste of time, energy, and most of all, happiness. Really, I don’t think my attitude was so horrible. I knew kids in high school who you just steered clear of, because their attitude was the worst, and you certainly didn’t want to say or do something to make them mad at you. You never knew what might happen, and I was not interested in getting beaten up. Sometimes in junior high and high school, things can be like a gang war, when you have the kids with a bad attitude, and someone who isn’t like that, looks at the kids with a bad attitude just slightly wrong, it turns into a big fight. Thankfully most kids keep their bad attitude more to themselves or to family issues at home, but sometimes it does spill over to the school environment. Today, we would call those kids bullies…and rightly so. When a person cannot control their temper and they lash out at others, they have to be stopped. But these are not the majority of people, they are the minority. For most of us, the bad attitude that we have periodically or just during a phase of our lives, it kept more to a small arena of people, who suffer in silence…or maybe not so silently…until the person with the bad attitude gets tired of wearing a frown all the time, and starts to live again. Thankfully, the teen years are only ten years out of life, then they are over, and life is better again. When a young life ends, there are always far more questions than answers. It is simply incomprehensible to think that the son, dad, brother, and grandson that you thought would always be around, is suddenly gone. When we found out yesterday, that Bob’s first cousin once removed, Brian Scott Kountz passed away at 9:45 pm on June 21, 2014, it was such a hard day. 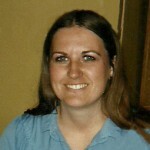 Brian was Bob’s cousin, Sandi Kountz’ oldest son, and he had a brother, Kyler Avey and a sister, Destreyia Cannon. 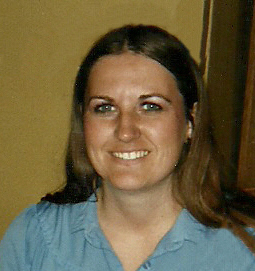 He was the first grandchild of Bob’s aunt, Margee Kountz. 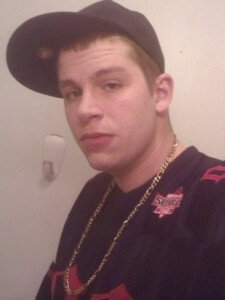 He will also be missed by his uncle, Dan Kountz and cousins, Zech and Stasi Kountz, and extended family and friends. When someone passes away, it seems like the memories that lived only in your memory files, start coming to the surface. Memories like the ones Stasi has of how Brian lit up a room by simply walking into it. 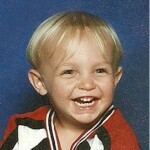 He had a great laugh, and he touched the hearts of all who knew him. One of the favorite memories Stasi has of Brian is watching “Fresh Prince Of Bel-Air” and eating Mac and Cheese together. It isn’t necessarily the major life events that hold a special place in our hearts, but rather the moments that seem to stay with us forever, after losing a loved one. I think a lot of us will remember Brian for his old cars. He always seemed to have a car that was like a big clunky boat. And that was just fine with him. He might have a rusty Cadillac or an old Blazer, but he didn’t care. He loved those old cars, and as a young man of only 24 years of age, maybe they were also what he could afford. He had a tendency to go 4 wheeling with his SUV, and that was probably not the best thing for the car, but like all kids, there were priorities…and then there were priorities, and adventure was simply a priority. Mechanics and cars were of great interest to Brian. He was taking mechanics classes at the time of his death, and his future plan was to open his own shop. He was happy. His life was taking shape and before long, he would be a successful businessman. Even though he was like all kids in the things that he liked to do, his family was the top priority in his mind. Brian took being the oldest child very seriously. He was a good big brother, who would give the shirt off his back for his brother and sister. He was especially close to his little sister, Destreyia, which is typical of lots of big brothers. I’m sure they had their moments when they fought like cats and dogs, but when it came to anyone else picking on his little sister…look out, because he would do whatever it took to protect her. There were so many things that bonded them together. Brian was her rock, and she was his sunshine. 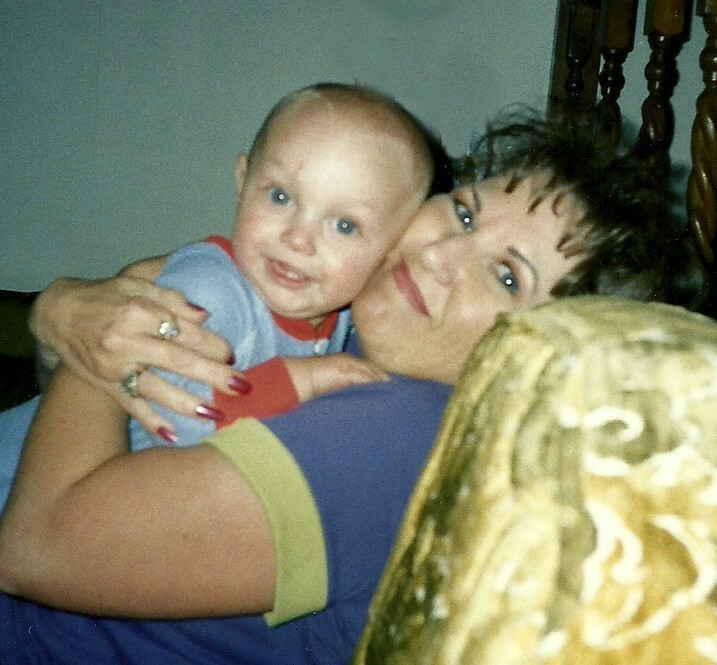 For Brian’s mom, Sandi, he was her first born, and like all moms, each child has their special characteristics. Each one holds a special place in their heart. Sandi has always seen the potential that Brian had, and she was his biggest cheerleader. She encouraged him to take the mechanics classes, and she knew that he would be a big success when his training was over. 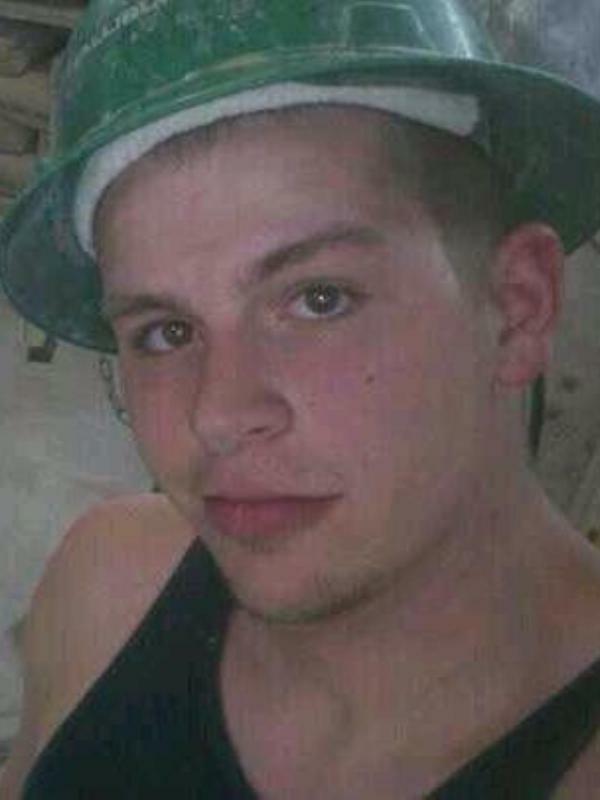 The hardest thing about today is knowing that all Brian’s plans and dreams are over now…his future no longer exists. Rest in peace Brian. We love and miss you already. In trying to connect the Stanton side that exists through my dad’s half brother, Norman Willis Spencer, to the Stanton side that exists in Bob’s family through his grandma, Nettie Noyes Knox, I have come up with some interesting information. While I have not made the connection that I’m almost certain exists between the two sides, I did find out that within the Noyes side of the family, there is a Stanton family member who was of some significance to America too. His name was Thomas Stanton, and he was Bob’s 7th great grandfather. There are many ways for a person to have a degree of influence on American history, or history of any nation. Some people become kings or presidents. Others might have been great warriors, while still others might have made some great discovery. 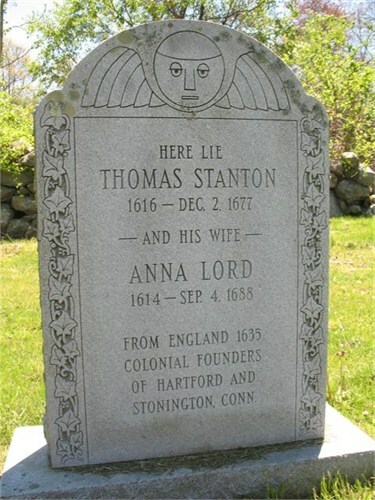 Thomas Stanton was a trader and an accomplished Indian interpreter and negotiator in the colony of Connecticut. He is first noted in historical records as an interpreter for John Winthrop Jr in 1636. He fought in the Pequot War, which took place between 1634 and 1638. He nearly lost his life in the Fairfield Swamp Fight in 1637. In 1638 he was a delegate at the Treaty of Hartford, which ended the war. In 1643, the United Colonies of New England appointed Stanton as Indian Interpreter. He began a close alliance with the Thomas Lord family, who may have been friends from England and who had recently emigrated from Towcester, England. He married Thomas Lord’s daughter, Anna Lord, about 1636 and went into a merchant business alliance with Richard Lord. Some of Thomas’ land transactions involved serious difficulties, because people often sold and resold land without obtaining a clear title. An Indian sachem gave Quonochontaug to Stanton, but did the chief really own all of this land? A Stanton tract might overlap a tract claimed by another settler. These and other transactions like them, resulted in lengthy and costly litigation. Questions about the ownership of some of Stanton’s land and ambiguities in the will led to years of family and legal fighting. But, probably the biggest claim to fame that Thomas Stanton had was that he was one of the four founders of Stonington, Connecticut, and one of the first settlers of Hartford, Connecticut. 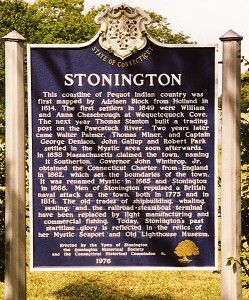 The present territory of Stonington was part of lands that had belonged to the Pequot people, who referred to the areas making up Stonington as Pawcatuck and Mistack. It was named “Souther Towne” or Southerton by Massachusetts in 1658. 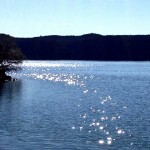 It became part of Connecticut in 1662 when Connecticut received its royal charter. 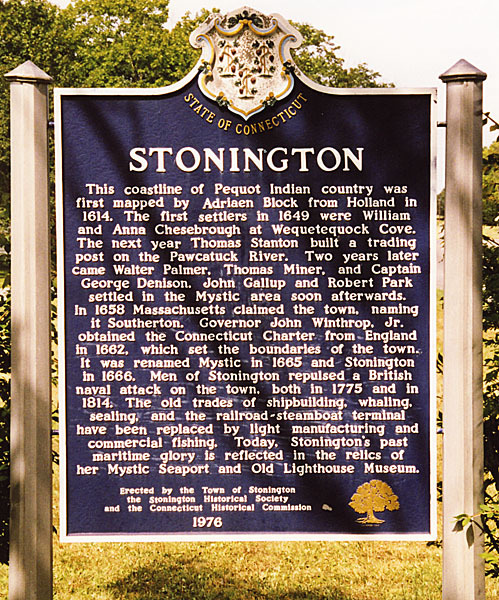 Southerton was renamed “Mistick” in 1665 and again renamed Stonington in 1666. Thomas Miner, Walter Palmer, William Chesebrough and Thomas Stanton were its four founders. Upon Thomas death on Dec 2,1677, his will could not be located, and legal battles concerning the distribution of his property continued for years. When his wife, Anna died 11 years later, his estate was still unsettled. At some point, when going through some papers belonging to the city of Hartford, Connecticut, someone found the will, but that would not bring the estate to the point of being settled. The estate remained unsettled for a total of 40 years before the will was accepted and the estate settled. That is the kind of thing that can happen when money and land are involved. For years, when I would research the Spencer side of our family, I continued to run into a woman named Alice Viola Spencer. I kept wondering how she fit in exactly. Early on in my quest for my ancestry, the relationships were a challenge for me. As I ran into her again and again, I learned that she was my great aunt…my grandfather, Allen Luther Spencer’s younger sister. She somehow seemed a bit out of place compared to the rest of his siblings. All the girls were ladylike and feminine, but Alice had a very regal style. I have often wondered what she might have been like, and I find myself wishing I had known her. I think I need to locate some of her grandchildren so that I can ask them about her. Alice Viola Spencer was born in Mondovi, Wisconsin on May 5, 1884, and was married to Dennis Alburtice Dunahee in Ladysmith, Wisconsin on May 14, 1902. Their son, Bertie Raymon was born on Feb 19, 1903 in Ladysmith Wisconsin. 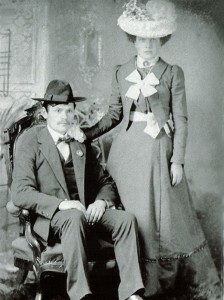 At some point after Bertie’s birth, they moved to Dewey, Oklahoma, and in 1920 they would move to Twin Falls, Idaho, where Alice lost her husband on March 22, 1938. He was only 59 years old at the time of his death. By the time of his father’s passing, Bertie…who now went by Raymon, had moved to Los Angeles, California. I’m sure that having Raymon in California, and her husband Bert’s passing were the main reasons that Alice would leave her home in Twin Falls and move to West Covina, California, which is where she was at the time of her death, on December 11, 1944, at the young age of only 60 years. 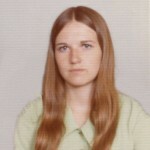 It appears to me that Bert and Alice would only have one child, and that their son, would follow in their footsteps and have only one child as well…LuAlice Irene, who was born on December 5, 1930 in Twin Falls, Idaho. LuAlice would marry, Walter C Ball, and Alice would finally receive four great grandchildren. I’m sure that after two generations of only children, LuAlice and Walter’s children would be a bit of a culture shock…and not a bad one either. 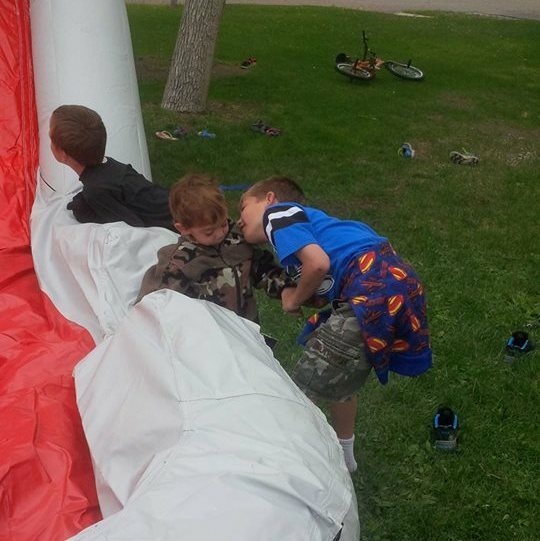 I can’t think of anything more fun than listening to a house full of giggling children. I wonder what Alice thought of all those little great grandchildren. I’ll bet it was the thrill of her life.